Ani Dasgupta (Global Director, WRI Ross Center for Sustainable Cities), Michael Berkowtiz (President, 100 Resilient Cities), Rubbina Karruna (Research Adviser, Department for International Development), Marcio Lacerda (Mayor, Belo Horizante) and Xavier de Souza Briggs (Vice president for Economic Opportunity and Markets, Ford Foundation) at the opening panel of WRI’s Habitat III pre-conference event. Photo by Milton Bustamante/WRI. With these words, Ani Dasgupta, Global Director of WRI Ross Center for Sustainable Cities, kicked off WRI’s pre-conference event dedicated to exploring the central question of the World Resources Report on cities: whether prioritizing access to core urban services will create cities that are prosperous and sustainable for all people. 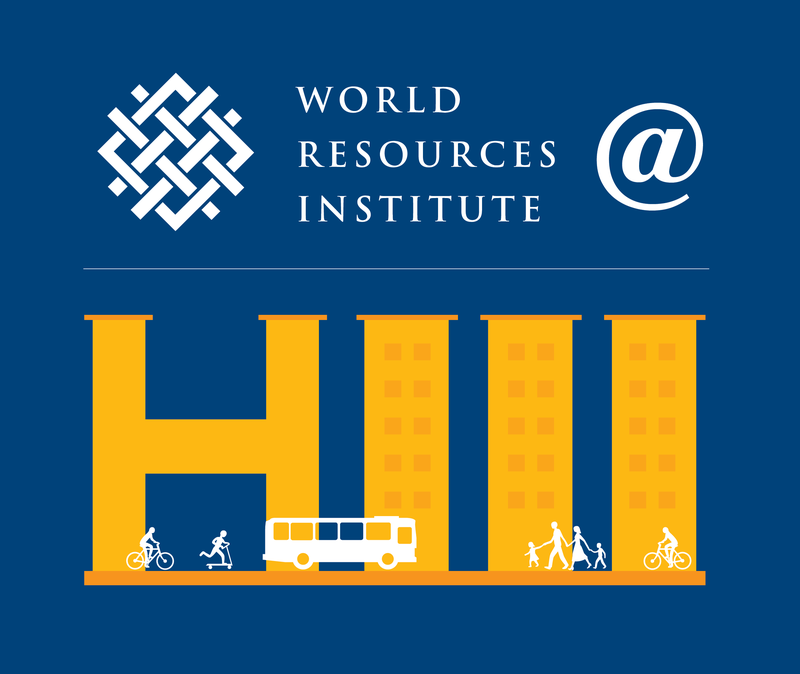 Bringing together WRI experts and a diverse range of distinguished panelists from around the world, the event focused on three core sectors that can help create transformative urban change: housing, energy and transportation. To address the growth of under-serviced, sub-standard housing, disconnected from livelihood possibilities, decision makers should recognize in-situ (in-place) participatory upgrading—like that of Thailand’s Baan Mankong program—as the optimal solution, except when there are location-based risks. Policy at all levels often overemphasizes homeownership to the detriment of residents in the informal sector. Instead, cities should consider policies that recognize and encourage rental housing at all incomes. There are many instances of inappropriate land policies and regulations that push the poor out of the city. Incentivizing the conversion of underutilized land and allowing for incremental development can help make use of existing urban land and give traditionally marginalized groups well-located homes. Discussion highlighted the need to build on these proposals for bold and scalable solutions, the importance of ensuring that women are part of the process and the solution and finding ways to easily communicate about the issue to politicians, civil society and the private sector. Scaling up distributed renewable energy within cities. For example, rooftop PV (solar energy) can meet 7 to 30 percent of annual electricity consumption in some cities. Furthermore, distributed renewable energy can help the underserved by potentially addressing costs as PV prices continue to decline and improving reliability. For the city, this can mean lower electricity demand, avoiding the costs of new infrastructure, greater job opportunities and reduced GHG emissions. Discussion touched on the role of energy both in formal and informal settlements, and the impact of livelihoods. Furthermore, participants noted that there is no ‘one stove’ approach—improving cooking isn’t a technological issue, but a finance and behavioral issue. To that end, radically improving electricity access will require an alliance of mayors and electricity companies based on innovative financing mechanisms. Unlock Finance. The common view is that a shift to sustainable transport requires a tremendous amount of new financing. However, research from WRI shows that investing in sustainable transport could save US $300 billion a year, and that this amount already exists within current financial flows. National programs that support cities with funding and capacity building can help redirect money dedicated to highway expansion to sustainable mobility options. Advance Institutions. Decisions can’t be made in silos anymore. Transport and land use planning need to be integrated—and this requires modernizing our institutions—like creating metropolitan transit authorities. Harness Technology. Technology is transforming the state of mobility, but what is the impact? Often, decision makers simply don’t know. And when they do, they’re slow to utilize the potential of transformative technologies and implement smart regulations. Meeting the global motorization challenge will require that public, private and civil society work together to tap into the opportunity. 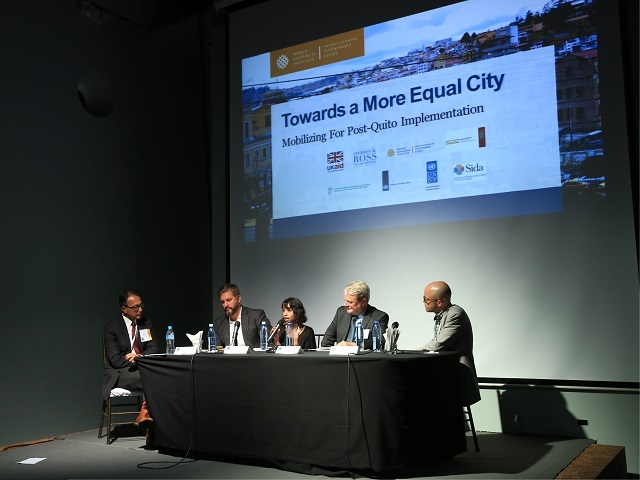 Follow our daily cover of Habitat III on TheCityFix.